Check out our latest guest blog (below and online here) and feel free to share on social media or forward to a friend. Happy Holidays! The holiday season is upon us and after all the preparations, parties and family traditions, we know it’s hard to keep in mind how to make this year’s celebrations more environmentally sustainable. 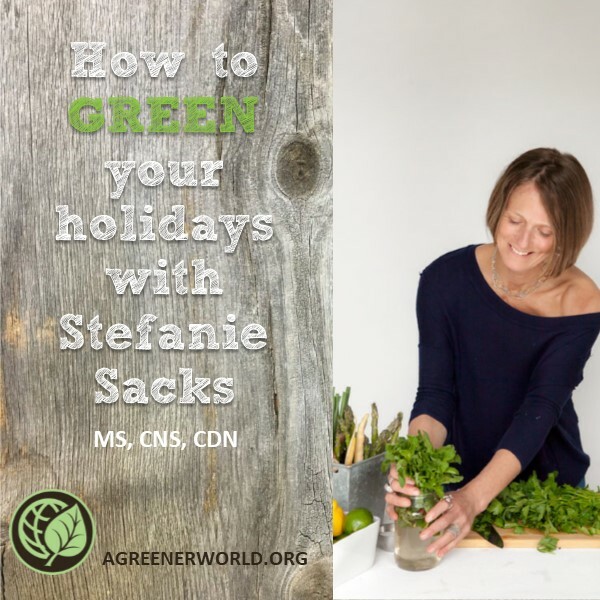 To get some helpful advice, we’ve asked friend of A Greener World, Stefanie Sacks, to share with us how we can be more “green” this holiday season! Stefanie Sacks, MS, CNS, CDN is a Culinary Nutritionist, author, educator, speaker and consultant. For over two decades, she has helped transform the way people eat using hands-on experiences to inspire, educate and offer practical tools for food lifestyle change. She earned a Masters of Science in Nutrition from Teachers College, Columbia University, is a Certified Nutrition Specialist, Certified Dietitian Nutritionist and is a graduate of the Natural Gourmet Institute for Health and Culinary Arts. Stefanie’s What The Fork Are You Eating? An Action Plan for Your Pantry and Plate (Tarcher | Penguin Random House) is a must-read guide for anyone looking to make small changes in food choice for optimal health. Stefanie also sits on the advisory board of A Greener World. 1. What steps do you take to prepare foods for your family during the holiday season that are high in nutritional value and good for the environment? Planning is my key to success. From menu planning to shopping to cooking, I map out where to source my food whether ordering online from a farm that produces high-welfare animal foods to my local food co-op/buying club and grocery store. I limit packaged foods and for the ones I do buy, I stick with 5-7 real food ingredients. For more information on how to navigate the do’s and don’ts of healthy food choice, check out my book, What The Fork Are You Eating. I have been told that it’s an “encyclopedic guide”! 2. What do you look for in the grocery store when shopping for high-welfare, pasture-raised products? I don’t buy into the buzzwords on the boxes unless I see a third-party certification seal like Certified Animal Welfare Approved by AGW—it is the only one I truly trust. Since it is currently hard to come by in my region, I purchase much of my meat online through an AGW-certified farm, Baldwin Family Farms. My next best bet is Certified Humane, a certification seal that I find on eggs and poultry. Not my ideal but acceptable! 3. What are some common misconceptions about food labels? That they are truthful!!! Sadly, most are not. And that is why I had to write the book I did—to help consumers navigate food choice based in fact and truth. 4. Since there are a number of labels that are misleading and don’t come close to meeting consumer expectations, how do we know if a label is one that we can trust? Unless you understand what the label actually means as well as its origin there is no way of navigating or trusting it’s true. Food Labels Exposed (published by A Greener World) is a rock-solid guide and one that rightfully informed the information in my book. 5. 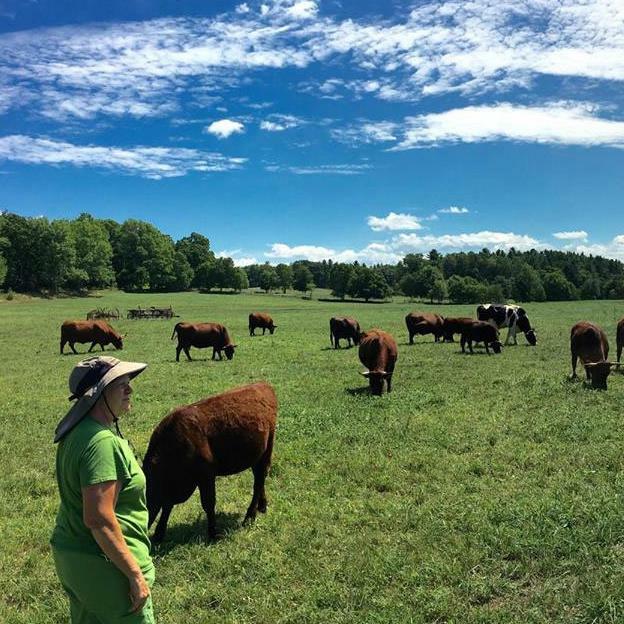 What are the benefits of high-welfare, pasture-based management in terms of environmental impact and nutritional content? I always say, “You are what you eat but also you are what they ate and how they were treated.” With a food-as-medicine background, believing that what and how we choose food helps determine our health outcome is central to my belief system both personally and professionally. 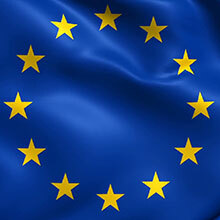 Thus, focusing on consuming undeniably authentic high-welfare, pasture-centric animal foods not only means nourishment with high essential fatty acid content (more than the conventional farming counterparts) but it also means supporting a truly sustainable animal food production system which puts the animals and our environment first. 6. Why do you choose to buy products that are Certified Animal Welfare Approved by AGW in comparison to other animal welfare labels? Super simple. Because I trust the organization and their process. I have spent over 30 years traveling the food and nutrition roadway both personally and professionally. I have seen a lot, had the honor of meeting and working with many true leaders in the field and in the end, authentic honesty is what draws me to people, places and things. AGW is honest and transparent—they have nothing to hide. 7. What are some resources that we can use to find products that match our values? 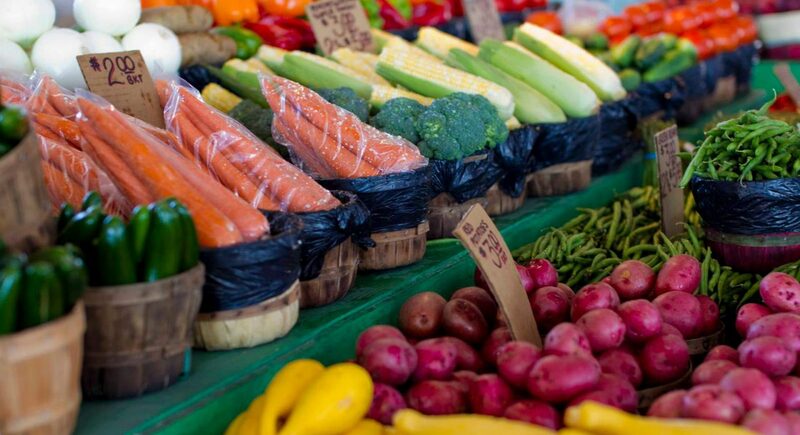 Food Labels Exposed and What The Fork Are You Eating are great resources in terms of guiding shoppers on how to make a small difference in food choice that ultimately leads to improved human and environmental health. 8. What are some actions we can take to ensure we’re celebrating this holiday season in a way that’s good for our health, our communities and the environment? NEW DIRECTORY LISTINGS: CANADA ABOUNDS! 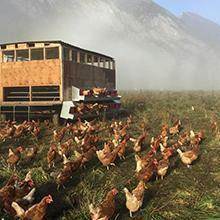 From Vancouver Island to southcentral Alberta, we have several new farms providing delicious, certified meat, dairy and eggs for your holiday gatherings! Flaghill Ranch, Grassy Gnome Acres, Lost Savanna Farm and Spray Creek Ranch, are among the newly certified in western Canada. Be sure to check out our vendor directory, which is being updated all the time, for products near you! Looking for sustainably produced food for the holidays? Search our online directory for farms, restaurants and retailers selling Certified Animal Welfare Approved by AGW, Certified Non-GMO by AGW and Certified Grassfed by AGW products.